We'll be showing Castle in the Sky in English which stars Anna Paquin as Sheeta and Mark Hamill as Muska. THAT'S RIGHT LUKE SKYWALKER HIMSELF IS AN ANIME VOICE ACTOR! 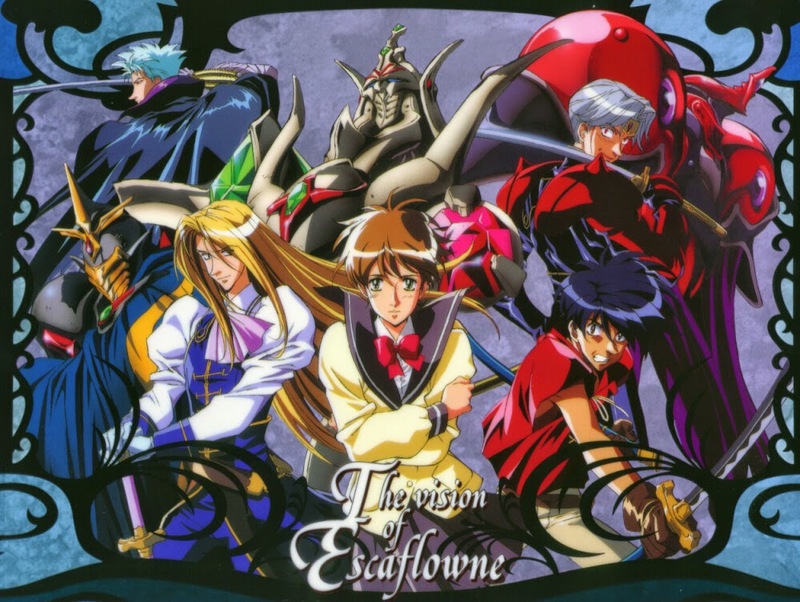 Before Castle in the Sky, we'll be showing The Vision of Escaflowne! Mecha and fantasy clash in this classic series created by Shoji Kawamori (Macross) with music by Yoko Kanno (Cowboy Bebop). Funimation will be re-releasing this series next year! Last but not least, we'll be holding a prize raffle, thanks to our friends at Anime Orlando Inc! 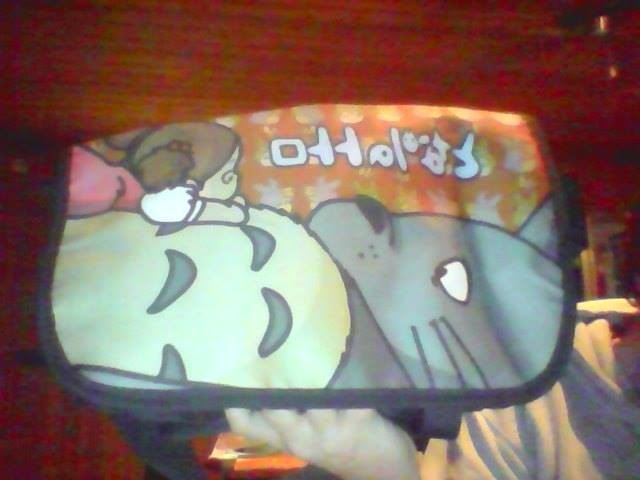 They have provided us with a Totoro tote bag filled with goodies inspired by My Neighbor Totoro! We'll be raffling off the bag and the items in it before we show Castle in the Sky! 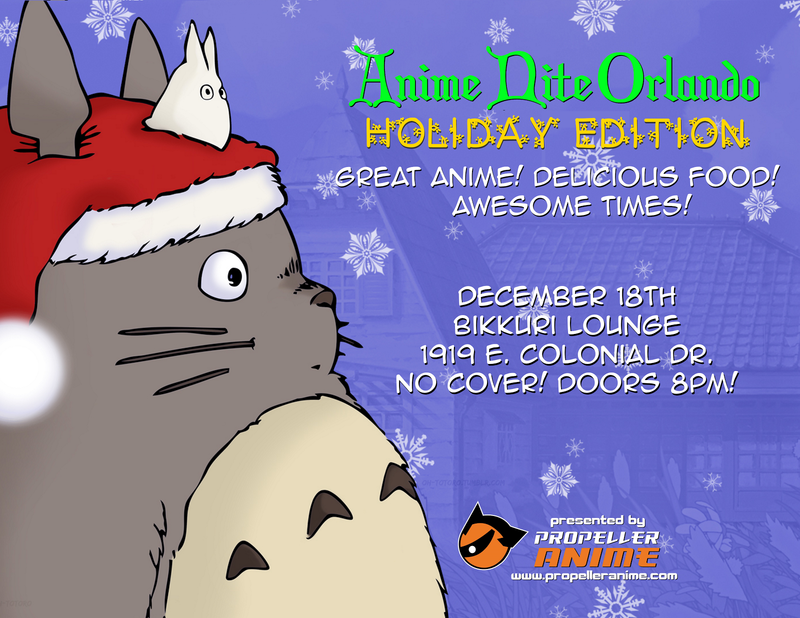 You can get tickets by showing up, wearing Propeller Anime swag, or getting food and drinks from Bikkuri Lounge! This event is free and doors open at 8pm! You must be over 18 years of age with a valid I.D. to enter.